Investigate the answers to the questions you might have from the subjects listed below or give us a call to receive immediate attention on your case. Our time isn’t charged to you unless we win your case. If you, or a family member have suffered from a personal injury you might be feeling vulnerable. Take legal action to ensure you’re treated with the compassion and respect you deserve. Who will be held accountable for my accident ? If you were injured in an accident caused by no fault of your own, or if a loved one has been wrongfully killed due to another party’s negligent or reckless behavior, then you could be eligible to file a claim and pursue financial compensation under your State’s personal injury laws. Different parties can be held responsible for an accident that resulted in injury, including individuals (like a reckless driver) or a corporate entity (such as a corporation or agency). What is liability and what does it mean ? What is negligence and what does it prove ? In addition to identifying the at-fault party, you will also need to be able to prove “negligence.” In the most general sense, negligence refers to whether or not a person has acted outside of the scope of reasonable care to prevent injury or harm to another person. Speak with an attorney to determine what evidence is needed to prove that the party’s negligence directly resulted in the injury or property damage. How much is my case worth ? Every case is different and to give a ballpark value could actually be counterproductive. Every case must be carefully assessed: there are many working parts in a personal injury matter and we would be happy to determine how those working parts can increase or diminish the potential value of your claim. Things like negligence, liability, injury severity, property damage, and more can all be relevant factors when determining the potential value. Do I need a personal injury attorney ? Not all auto accident cases require the assistance of a personal injury attorney. If you’ve been involved in a minor fender-bender and your auto insurance is offering you a settlement that reasonably covers all damages, you can probably resolve the situation on your own. However, if you or a loved one has been seriously injured, if the accident was the result of negligence on the part of another driver, or if you are having difficulty getting the settlement you believe you deserve, a personal injury lawyer may be able to help. Not all cases need to go to court, but a car accident lawyer can review your case, review your insurance policy, and negotiate with adjusters and other stakeholders to help you get the best possible recovery under the law. Every case is unique, but the value of your case will depend largely on the cost of medical expenses, the amount of wages you lost during recovery, and your pain and suffering damages. While some damages can be calculated using receipts from medical bills and pay stubs, a personal injury lawyer can calculate possible future lost wages, future medical expenses, compensation for pain, suffering, inconvenience, physical disability, disfigurement, along with other damages. These calculations may involve your lawyer consulting with experts. Do I have a personal injury case ? If you’ve been in a car accident or have been injured due to another person’s neglect or negligence, you may have a personal injury case. If you feel that your insurance company isn’t offering you the settlement you believe you deserve, you may also have a case. What should I do after I’ve been in an accident ? Your first steps after an accident should be in the interest of safety of everyone involved. Seek medical care and call the police to make a report. You can contact a personal injury lawyer after everyone is safe and the police report has been filed. U.S. News and World Report notes that the first steps should always be to pull over and call 911. How long do I have to file a personal injury claim ? Louisiana law gives you one year from the date of your accident to file a Louisiana personal injury claim. But, this only applies to claims that arise under Louisiana state law. 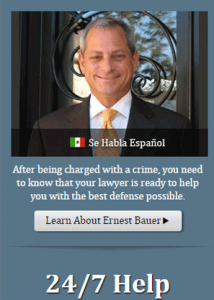 Each state may have their own laws, so it is best to consult with an attorney. Should I Talk with The Insurance Adjusters ? No. You shouldn’t talk with insurance adjusters or supply them with a statement before you talk with your personal injury lawyer. Insurance adjusters aren’t on your side. It’s an insurance adjusters’ job to settle your claim for a minimum amount of cash possible. Any remarks you make to a deputy can be used against you to reject or reduce the value of your claim. Could I Receive Compensation for My Injuries ? Yes. Laws follow negligence. The quantity of your fault is going to be contrasted to the quantity of the other party’s fault. The sum of cash you’re awarded could be reduced by the percent that you had been in fault. As an example, if a judge or a jury determines that you had been 25% responsible for the accident and the other party was 75 percent at fault, you may be entitled to recover 75% of your compensation. Each case is different, so it is best to consult an attorney. I Have Been in An Accident, What Should I Do ? First, get to a safe place if possible and safe to do so and seek medical care promptly. Some kinds of injuries from accidents aren’t instantly apparent and could be made worse if not treated immediately. In case you’ve sustained injuries that incapacitate you, it’s probable that the authorities or witnesses will call for help. If you’re competent, you need to visit your physician or an emergency facility. If possible, call the police, or have someone else call for your benefit and ensure than an incident report is filed. You need to get insurance information, names, addresses, and phone number of any witnesses to the accident. Take photos of any injuries you received in the accident as well as any damage to your car if you had been involved in a collision. What if I’m involved with a vehicle accident in Louisiana and do not have any auto insurance coverage? Can I recover for my injuries ? Louisiana has a no pay/no play coverage with respect to car insurance coverage. That implies that to recover for your damage linked to a vehicle accident you should have the statutorily approved quantity of car insurance coverage. However, it can still be feasible for you to recover for your wounds if you do not possess the minimum quantity of coverage. In case your personal injury caused by the automobile accident requires medical treatment more than $10,000, then you might be capable to recover for your damage without having auto insurance. That’s, Louisiana’s no play legislation just precludes recovery of the first $10,000 value of damages for people who don’t have their very own auto insurance. What if the other side in An Automobile Accident doesn’t have compensation for your injuries from your Insurance ? In case the other party in a vehicle accident doesn’t have insurance coverage, then you might be able to receive compensation for your injuries from your very own car insurance provider under your Uninsured Motorist coverage. Uninsured automobile insurance is optional insurance protection that you buy from your very own insurance carrier. In case you’ve have been able to recoup from the other driver if that person had insurance provider is needed to pay you all the damages that you’d were able to recover from the other driver if that person had insurance. Many motorists only have a minimum $15,000 liability insurance required by law. I can’t overemphasize the significance of getting uninsured motorist coverage. There have been too many personal injury cases involving automobile or vehicle accidents where the negligent driver had no car insurance. In such a case, the only recourse for the wounded person would be to sue the driver personally. But, as you may imagine, regaining monetary compensation in an event can prove unsuccessful. With auto insurance not insured under your automobile policy, your insurance provider basically will stand on the shoes of the negligent motorist and cover you for your damages relating to your automobile accident. Will I Recover for My Personal Injury ? Generally, you have the right to get compensation for your medical expenses, damage to property, past and future income losses, and pain and discomfort. How long do I’ve to file a personal injury claim in Louisiana ? The brief answer: it depends upon the sort of personal injury claim. In many automobile accident personal injury cases, for instance, you have one year from the date of the injury to bring a claim. This however isn’t a hard and fast rule and there might be exceptions dependent upon your harms. If, for example, your personal injury case arises from medical malpractice, then you probably have one year from the date on which you discovered or must have discovered your personal injury can were caused because of malpractice. As you can tell, the best plan of action is to contact a lawyer about your potential personal injury claim as quickly as possible, and in the most recent, inside one year from the date of your accident. In Louisiana, if I fall on someone’s property and hurt myself are they accountable for my damages ? Louisiana law, generally, provides a treatment for the injured party who sustains his/her personal injury due to an unjustifiably dangerous condition existing on another person’s property. Liability is another kind of negligence law. What Kind of Info or Documents Will the Attorney Need from Me ? You should supply your lawyer as much info as possible concerning your injury. When you have or receive copies of the police reports, medical records, health care bills or anything else that may help your case you must provide copies to your lawyer. If you don’t have or can’t acquire copies, our office can get them for you. How Do I Pay the Attorney Fees ? Personal injury cases are usually handled on a contingency fee basis. This usually implies that the law firm representing you is paid a portion of the recovery you get. The company advances all trial preparation expenses and the fee is only paid if you win the case and get a recovery. Could I Recover Compensation for My Injuries ? Yes. Laws follow negligence. The quantity of your fault is going to be contrasted to the quantity of the other party’s fault. The sum of cash you’re awarded will be reduced by the percent that you had been in fault. As an example, if a judge or a jury determines that you had been 25 percent responsible for the accident and the other party was 75 percent at fault, you’ll be entitled to recover 75 percent of your compensation. Will I Have to Go to Trial ? Probably not. Most cases are settled before trial. A settlement avoids the expenses and the delays in the lawsuit and might result in greater net recovery. It can be required to go to trial to get the maximum recovery for an injury attorney. It’s essential for an injury or accident victim to employ a law firm with skill and experience in taking cases to trial. A trial attorney will be capable to maximize a client’s recovery if it be required to take a case to trial.